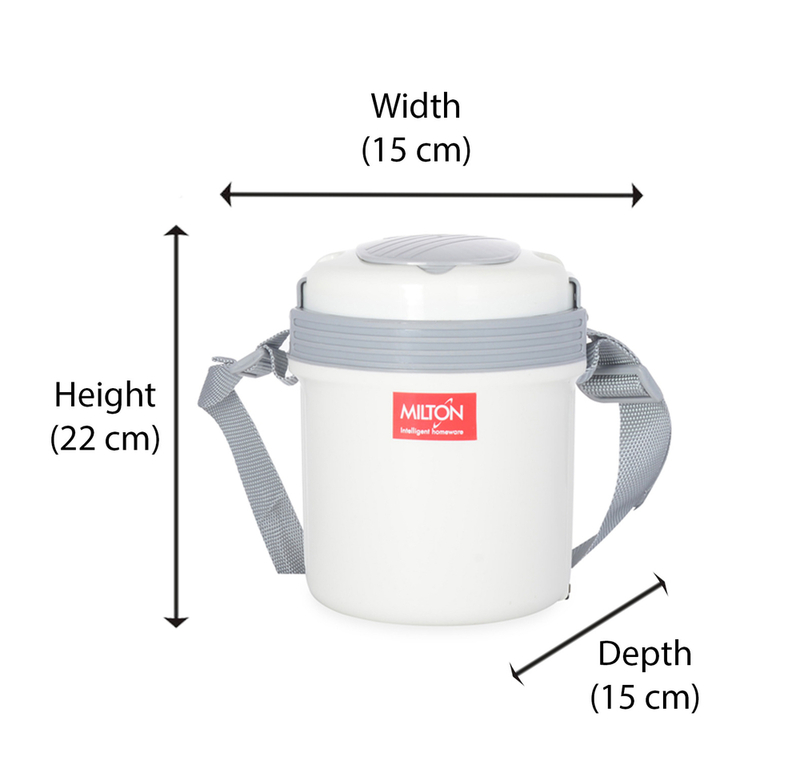 Now revel in the astounding pleasure of enjoying a hot and fresh home-cooked meal, all thanks to the Milton Electron Lunch Pack of 3. An offering from @home, this lunch box online, comes in the classic colour of grey. The vacuum insulated body of this tiffin helps keep the food warm and fresh for longer hours. Availed with three round containers with cap, this electric lunch box offers ample space for storing chapattis, veggies and even a side dish like pulao! Offered with a detachable cord, you simply need to plug it in for some time, so that your food is as hot as you’d like it to be! Simply plug it in to get a steaming hot, home-made meal in 30 minutes.